Why not look to your local Middletown Honda dealership for your next used car? In addition to our large inventory of brand-new Honda vehicles, we also stock a wide variety of gently used cars and SUVs, right here at Middletown Honda. We’re located on the northeast side of Middletown, just past NY-17, near SilverLake. If you’re coming from downtown Middletown, take NY-211 E past NY-17 and take the first right on 84th Lane. You’ll find us just ahead at 520 Rte. 211 E.
We’re proud to be able to offer a selection of used cars right here at our Middletown dealership. We’ve got late model low mileage cars and plenty of vehicles priced under $10,000, so you should be able to find something to fit both your budget and your needs! Here at Middletown Honda we strive to provide an easy, convenient, and pleasant car buying experience, and our knowledgeable sales staff will be happy to aid you in finding the vehicle on our lot that will best fit your needs and budget. For added peace of mind we’re happy to be able to provide CARFAX vehicle history reports with our vehicles, and you can trust us when we say that our mechanics have thoroughly inspected each one. A seven-year/100,000 total odometer mile powertrain limited warranty. If you’re ready to find your next used car, make sure you visit Middletown Honda. 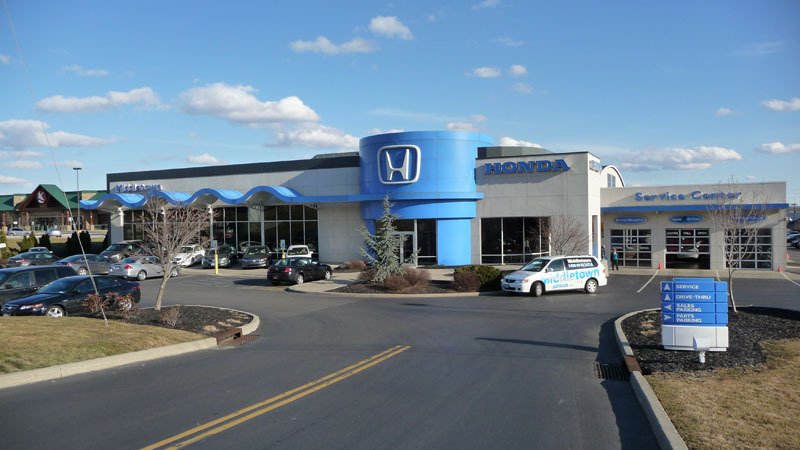 We’re your leading Middletown area Honda dealer, and we’re proud to offer used cars, as well as maintenance and repair services, to Middletown area drivers. Our sales team is here to assist you from 9 a.m. to 8 p.m. Monday through Thursday, from 9 a.m. to 6 p.m. Friday and Saturday, and from 10 a.m. to 4 p.m. on Sunday. We hope to see you soon!